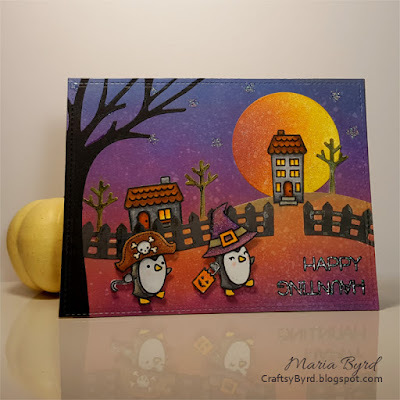 A pair of cute and fun penguins out for a Happy Haunting! 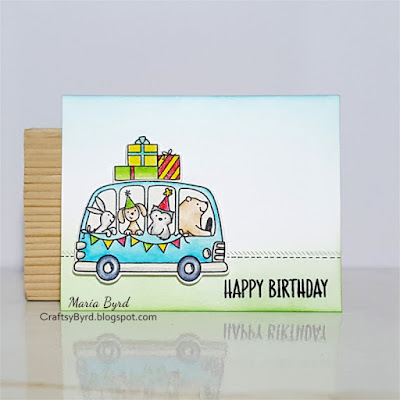 Lawn Fawn stamps used: Here We Go A-Waddling, Winter Village, and Booyah! Lawn Cuts used: Leafy Tree Backdrop, Large Wreath, Little Picket Fence Border, Stitched Tree Border, and Large Stitched Rectangle Stackables. I found out about Lawn Fawnatics Create a Scene! Challenge on Sunday morning and it was due that night. So, I created the card in between doing laundry and other chores.